Tally ERP 9 software is a complete business as well as accountancy solution. It is viable to denote Tally software as a complete accounting, inventory, taxation, VAT, CST, TDS, POS, and payroll software. Tally ERP 9 is considered as one of the efficiently working and authentic accounting software. In addition, Tally is determinant of handling and managing any kind of business transaction. The software is highly popular and has become important for the students who seek jobs in the Accountancy stream to be acknowledged with the certification of Tally ERP 9. The Tally 9 ERP is a complete professional course offered by CCUBE that imparts in training and providing a well-recognizable certificate. This certification from CCUBE will highlight a candidate's validity to build a career in the accounting business. Most importantly, the badge of certification from CCUBE, which is a pioneer arm of the CADD Centre- Asia's Largest CAD Training Institute will have a significant impact on your career profile. 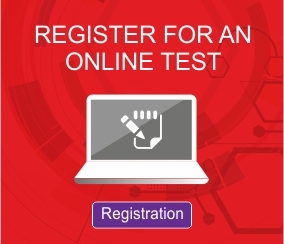 The exam will have 60 multiple choice questions on Tally ERP 9 Software.